A New Collection Brings New Wants! Hey, everyone! I've decided to start a new collection that happens to have a small link to Pokemon! That new collection is foreign coins! I'm sure that it won't be as extensive as my Pokemon collection, but foreign coins are so interesting, so I'd like to have a small stash of them. I'm telling you this because my first wants for my coin collection are Pokemon related! The island country of Niue made some $1 Pokemon coins in the year 2001, and I'd like to get my hands on some of them. They don't have to be mint or anywhere near mint (I'm not that OCD about the collection...yet), as I'm mainly concerned with affordability. I'd prefer to trade right now, but I can buy them from you. Here's an article about these beautiful coins and here's a picture! Aren't they adorable? But what I personally find most exciting... Pokemon Mate figures announced!!! Same lineup as the usual goods have been!! Man, I am excited! They are due to be released in January, and they are blind packaged, made by a company called Karakore. I am heading to Germany this half term and I was wondering if there are any places to buy pokemon plushes in Berlin and hamburg? I would really appreciate the help. 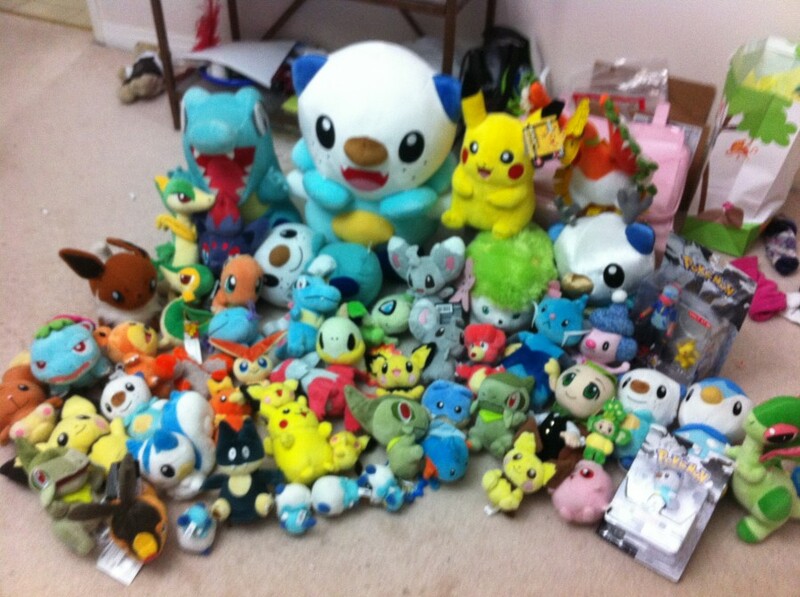 Oh yes and before I forget, does anybody have a Marill pokedoll for sale? It doesn't have to be MWT or anything, I am just looking for an adorable little travel buddy, to look cute in pictures and not have people questioning my sanity. I am slightly more focused on the price at the moment, and I think I will be until I get a job of my own so I am looking to pay 20-30 dollars for this little guy, or less, you know, happy with less! Anyways terribly sorry for the boring post, and happy Pokemon collecting! Now other thing I want to bring up today! I have gotten this cute Eevee plush last week, and to be honest, I have never really seen it on this community through the time I have been here. So how rare is it? 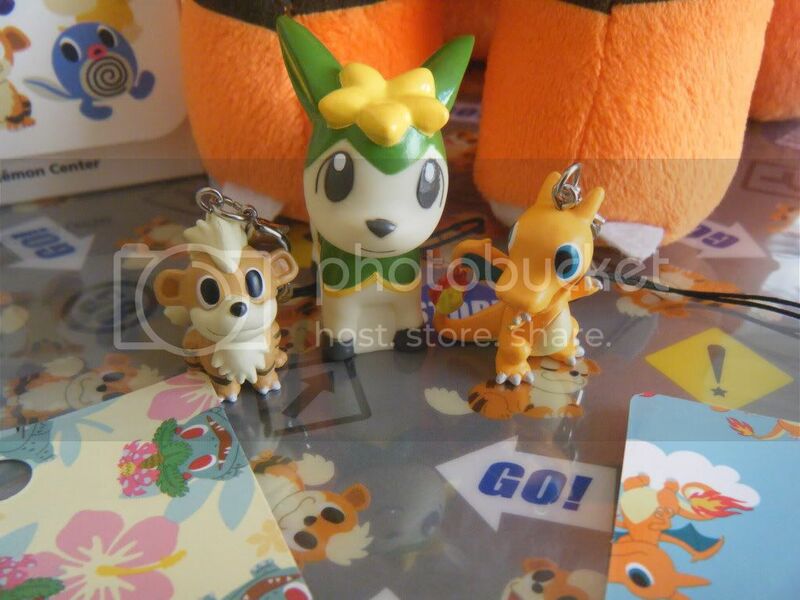 All I know from PPP that it's a mascot plush along with Pichu, Pachirisu, etc from 2010, and they have these little flowers attached to them, but otherwise, no information.. Otherwise, I really wanted to ask this for those who are allergic to their own collections. 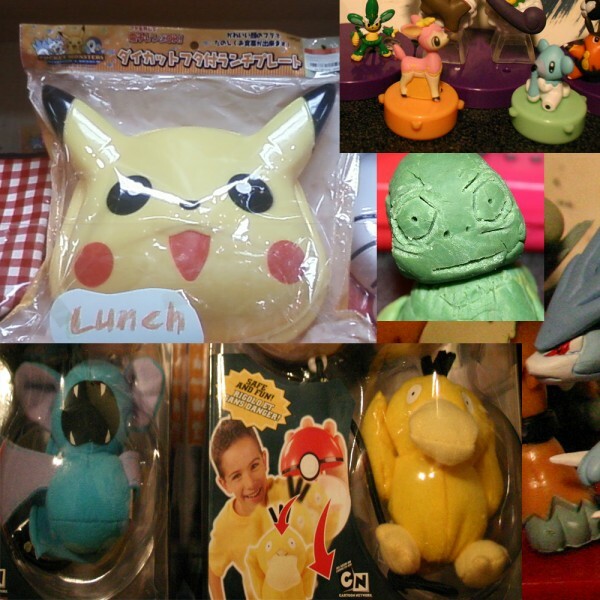 I am allergic to dust, therefore dust gets very easily on both plush and figures, or any other merchandise. How do you display your merch? I know that glass wardrobes are the best solution, however, I have only one small one, where not even my whole Charmander collection fits in (no wonder, it's really huge, you can look at the bottom photo), and my room is really small. If there is no real solution to that, should I just add into the wardrobe what I love the most from my collections, or just leave it at that? What would you do? Also, how do you get dust off your plush? I tried to just "beat" the dust off of one, but when looking at it, the dust doesn't even "show up", because you could clearly see there is on one. So far, my entire collections are stored in boxes and bags (room feels kinda empty). Any help on this would be appreciated! Huge Plush Sale! Need it all gone! I bought this Zorua in 2010 if I remember well, but at that time I didn't know about fake pokemon stuff so now after trowing away the ones I knew they where fake, I am questioning myself about this Zorua. I have no clue if it's from China/Hong Kong plus I can't remember if it was coming with a tag since I would cut them at that time. 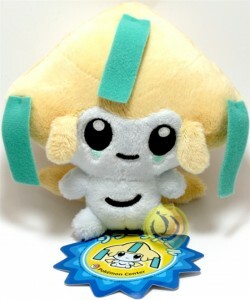 I only know about pokedolls and I know nothing about other kind of pokemon plush like this one which is a Banpresto if I believe it's tush tag. 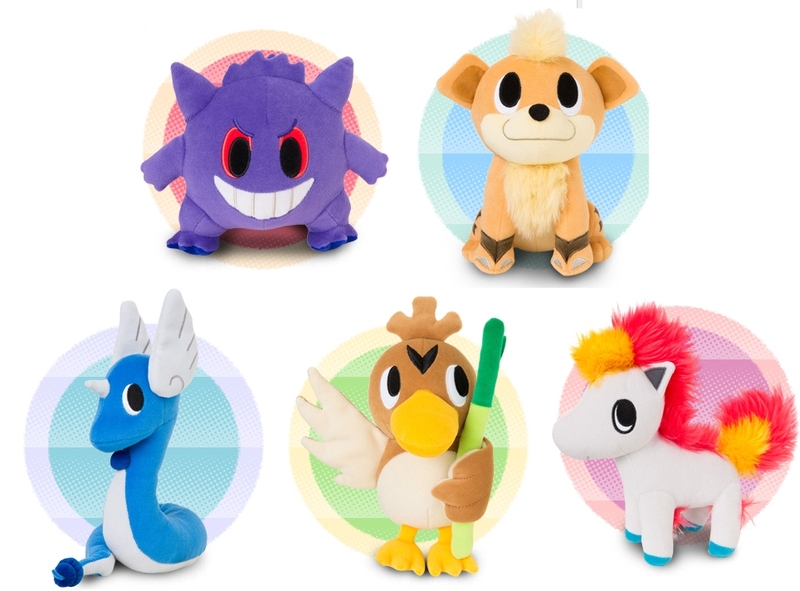 Reserve your Pokemon Time Plushies now! PLEASE READ THE ENTIRE POST BEFORE COMMENTING AND ASKING QUESTIONS! ★Comment to ask for your plush. You may ask for multiples of any plush. 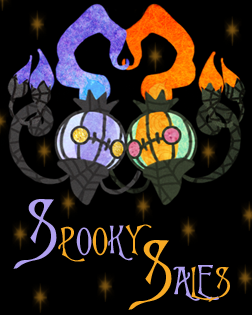 ★You can ask for plush anytime up until October 11th! ★Do not ask for a plush if you aren't going to pay! GRRR! Big trouble!! ★Payment for PLUSH ONLY will be due October 12th! ★Shipping will be collected as a SECOND PAYMENT on October 27th! ~~Talking Eevee plush by Tomy! ★Shipping cost will be determined later, estimated 7-12$ a plush. We estimate 6-10 inches tall but have NO way of knowing for sure until they come out. Plush will not be shipped until the end of October due to a trip. Payments are being split up and taken since purchase and shipping will be happening weeks apart. One last reminder for dot sprite charms! THEY LOOK AMAZING! Click below to reserve! I am not dead! ^^ I've just been lurking! I don't have much money so I don't wander around as much but I am still here checking out fellow collector's posts and fun stuff!!! But I came across an auction today that has a Marill item I need, so I would like to propose a small GA if you are interested!!! hurrah for new marill items! Looking for Pika Pair Merch! 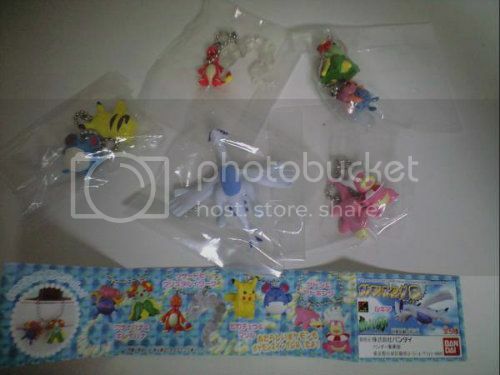 Right now i'm wondering if anyone has any of the pika pair merch for sale! I have the big plush and keychain plush, but am looking for things like the keychains, charms, pins, tail charms, picture frame, etc. So pretty much anything from the promotion that you have for sale i will take a look at ^^ I especially am looking for the picture frame and tail charms. Thanks for reading, I really hope that i can find some of the items from the promotion! payment totals #1 - practical use item (pheonixxfoxx) ga! Hey everyone, so we didn't raise the amount for the eBay auction, but pheonixxfoxx graciously decided to accept the amount we raised instead! We cut even, so it means no discounts :( But hey, we won! Click the cut for Payment details and instructions please. Just got a giant box of pokemon this week (images coming soon) and I had a quick question about some freebie figured thrown in. Does anyone know what a tiny figure, polly pocket sized, with a magnet at the bottom would be from? There was a jirachi, pikachu, and absol. Any ideas where they're from? Hi, fellow collectors. 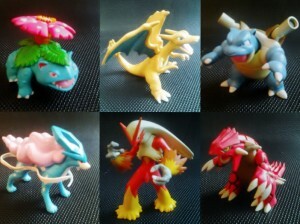 Today I bring you guys six well-made Pokemon pose-able figures made by TAKARA TOMY in 2004. They have been well kept and on display only in my hand. However, they do have little paint lost, especially for Blastoise, which has a widened seam on the right side of his belly (see comment below); but this not affect the overall assembling and posing for the figure. One more note: Suicune was manufactured in 2010 so she is as new as you can see. EDIT: I ADDED A VIDEO OF HIM TALKING BEHIND THE CUT. SORRY ITS SO QUITE MY IPHONE IS ON ITS LAST LEGS AND MY DOG TRIED TO GET IN ON THE ATTENTION. monster sales update! zukan & rare figures auctions!! Oh right, and a Vulpix zukan. No big deal. Yes! They're the PokéBox Eeveelution Charms! The thing is... they were sold out of Espeon... so that's my tiny want ^-^ If someone has it (of course, MIP) please let me know your price! Also, don't forget to check out my SALES! 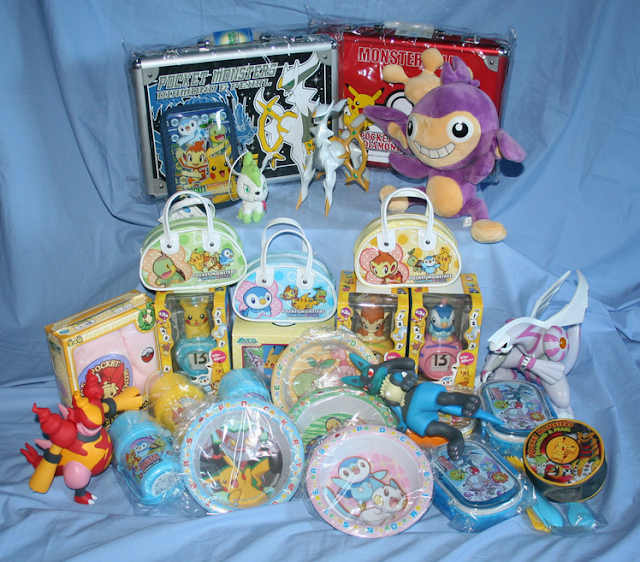 Pokédolls, Canvas plushes, Mini Pokédoll figures, Kids figures, Soap figures and so on! Click on the word "SALES" to go! New gets, finds and stuff. It's been quite a few months since I last posted a collection update, so I figured now would be a good time to post one!